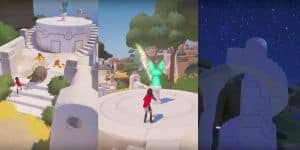 RiME: How to Motivate Players with Curiosity in Games | Nerd Much? I recently discussed the tropes that a lot of video games use to motivate the player; extreme violence and harm to children. I asked that we push these boundaries into more complex emotions. However, what about the other end of the spectrum? A place where there are no tropes, a heavy reliance on game literacy, and no motivation whatsoever. What drives a player to continue playing the game? The curiosity of the human mind drives both experienced and novice gamers, taking cues from the environment with carefully laid puzzles and mystery within the game. As such, for experienced players, it is the mystery of the game. We have a burning need to know how the game’s world works, its rules, the story of the characters and the environment itself. We push boundaries, either of the controls or the environment. Will jumping off this cliff hurt me, at what height do I die, where will the game leave me, can I climb this, can I pick up that, etc — all to figure out that mystery. For novice gamers, especially ones less-versed in the standard control scheme, might find the lack of motivation frustrating. Something as simple as X to jump might be something the game never mentions. 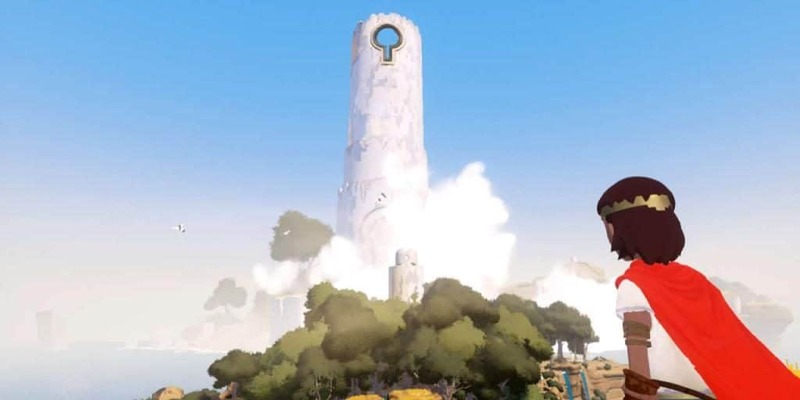 RiME, for example, tells you that X can help you climb rocks, but it doesn’t tell you it means jump too. Another example is the ever-present white-painted ledges to signal the availability to climb. As much as this is universal to almost all games, a less game literate player may not realize this clue. Without the usual narrative motivation to drive such a player forward, boredom and frustration is a real enemy. So how does a game like RiME defeat this? It’s all in the environmental cues. Make your game pretty, and people will stop to take a look at the view, and want to see more of it. Swell the music when the player does something right, unlock a new area, and suddenly you have motivation. Like Pavlov’s dog, the player is trained to feel rewarded after solving a puzzle with swelling music, and new areas to explore and admire. The difficulty of puzzles is important too. In RiME, they are relatively easy; the clues are all in the design of the environment. For example, the mere set-up of the large boar and two smaller boars before one of the glowing statues. The large boar blocks the path and chases you off if you get too close. The other two boars behind it are happily munching on an orange fruit. Just moments ago, you passed the tree that bore this fruit and you’ve either already picked it or you will now with this new connection. The puzzle is simple and allows the player to feel that audio (swelling music) and visual (magical sparkle and feeding cute tiny boars) reward; easy enough to be fun, but difficult enough to not be boring. Some might argue that feeding boars orange fruit is bordering on ridiculously easy, and suggest that The Witness or Myst are better examples. I think the same logic of human curiosity applies, but for a novice gamer, those two games are probably the worst introductions to gaming. Myst and Witness require a variety of deviant thinking and logic that is quite difficult to get into if you’re not used to it. Myst is especially notorious for leaving a million clues lying around and just as many ways of connecting them to the puzzle at hand. A novice gamer is bound to get frustrated and give up. 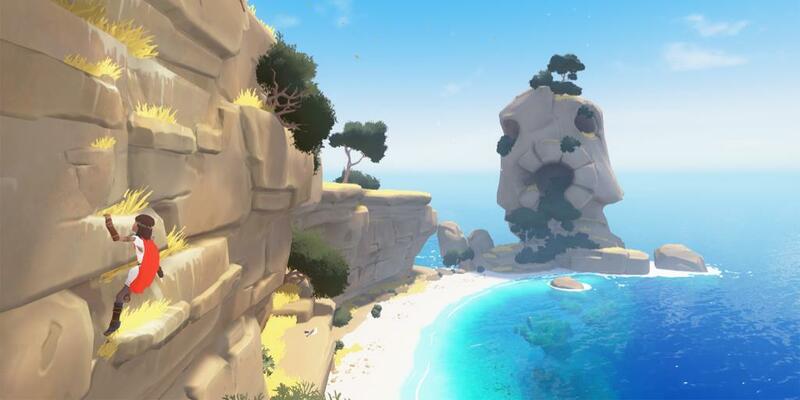 RiME does not flood the player with disjointed clues. It allows the player to set their own pace without delving into the well of frustration or boredom. Furthermore, RiME’s environment motivates the player by existing in that perfect balance of beauty and simplicity. This isn’t Dora the the Explorer asking if a square will fit into a round hole. If not for the balance of RiME, novice gamers might not bother. Nothing is more awe-inspiring than the deep turquoise of RiME’s ocean water, or stark white towers and ruins of unknown origins. The curiosity of the player inevitably wants to find more of that island charm that lies just beyond the magical wall to be opened with yet another puzzle of discovery. 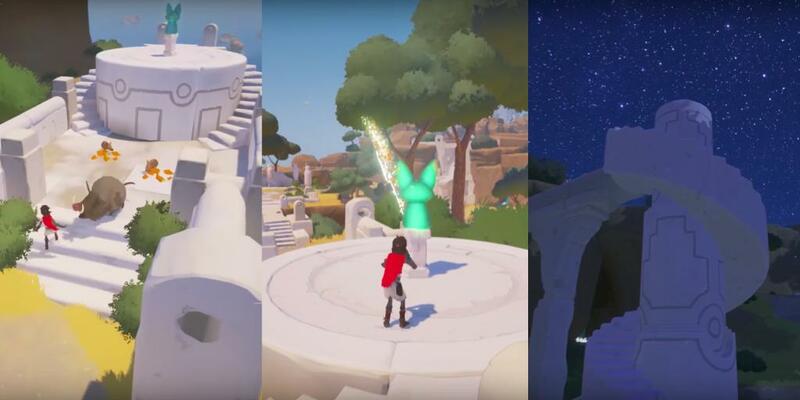 Thus, even without the narrative motivation, a game like RiME can invoke the curiosity of the human mind with carefully constructed puzzles and environments for both the novice and experienced gamers.